Currently, we have two Industrial Testing Mobile Units that allow us to bring our certified personnel and equipment right to your job site. Each unit is equipped with the latest audiological testing equipment and has partitions between each employee, allowing us to test up to 4 employees at a time. Our Industrial Mobile Unit will be brought right to your job site or we are able to test in a quiet room using a portable audiometer. 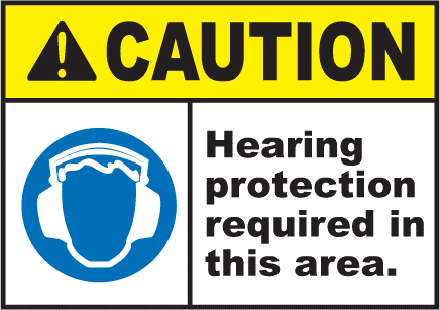 We verify that all equipment meets or exceeds OSHA standards, with daily audiometer calibrations upon arrival, and exhaustive calibrations annually. We perform sound level measurements inside the test area to ensure that the set-up location does not exceed maximum allowable sound levels. We provide highly trained and certified personnel to administer the testing. We have the ability to test up to 4 employees simultaneously in each mobile unit. Review the completed case history form. Perform an otoscopic examination (visual inspection), if desired. Provide detailed instructions for employees on how to take the test. Audiologists holding a Doctoral (Au.D.) degree review test results. A complete company report is provided. For the employer: employee information, case history and detailed hearing test results. For the employee: an explanation of the results in non-technical language. Reports will be personally delivered or mailed directly to you. Explanation of the company reports and all applicable documents will be available. Immediate access to qualified personnel to answer any questions you may have regarding OSHA’s Hearing Conservation requirements. We will automatically contact you for your annual Hearing Conservation testing. Please contact Robin Cole at (863) 686-3189 for more information or to schedule an appointment.